The Al-Farabi 2017 award winning title “From Mosque to Khanqahs”, an original work by Dr. Spahic Omer, brings readers to understand the origin and the rise of sufism and Sufi institutions. It took him a year to complete, according to Dr. Spahic who wrote the book out of his fascination for sufism. The word khanqah is made up of two Persian words “khana-gah” which means “a place of residence” for the Sufis or “place of the table” or “place of the recitation”. Among other Sufi institutions that are talked about in this book are duwayrahs, ribats, zawiyahs, and tekkes. This book won this year’s prestigious IIUM Quality Day award for critically discussing the evolution of Sufi institutions from mosque institutions to an independent and self-governing body which not only focuses on religious aspects but also on schools, madrasah, and financial institutions. It talks about mosques being an important institution as a community centre and as a symbol of Muslim identity without which the lives of Muslim believers would be greatly impaired. It also discusses the reason why Muslims invest a lot on the maintenance and building a mosque to safeguard the future of the Islamic community, as neglecting the mosque would mean neglecting the future of the Islamic community. That’s the reason why Prophet Muhammad (PBUH) built a mosque upon migrating from Makkah to Madinah, he stressed. The Prophet’s Mosque in Madinah served not only as a community centre for Muslims to pray but has evolved to perform administrative functions for religion, education, and political and social matters. In this book, the elements of the authentic Sufism, and what set Sufism apart from both pseudo-Sufism and mysticism, are being discussed in detail. The book also touches on the architecture of the institutions. “Look at architecture as a framework of life. Even if someone doesn’t have a background study in architecture he or she can still criticise, love and talk about architecture as building speaks a universal language,” Dr. Spahic said referring to Islam as a way of life. Dr. Spahic Omer is an Associate Professor at the Kulliyyah of Islamic Revealed Knowledge and Human Sciences and his fields of interest cover Islamic studies, Islamic history and civilisation, as well as the history, theory and philosophy of the Islamic built environment. Throughout his career in IIUM, he has taught more than eighteen courses that cover Islamic studies, history and architecture. He has also completed more than ten research projects and has participated actively in almost fifty conferences and seminars. 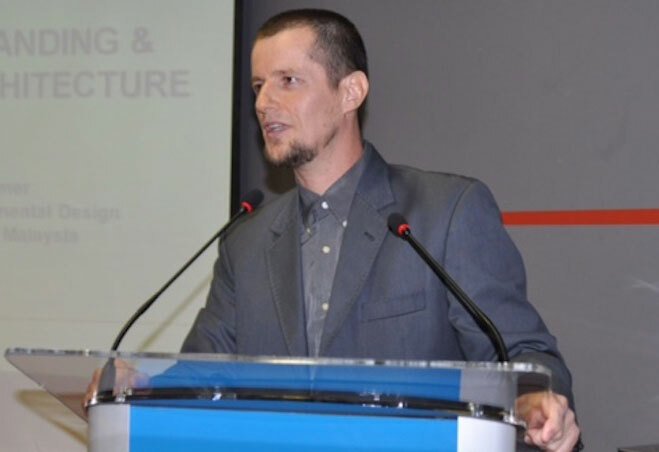 Dr. Spahic has also collected a number of accolades for his contributions and works, among them were for his published work that won him the Ismail Faruqi Award in 2003 for his studies in Islamic Built Environment, and the 2015 National Book Award: Architecture and Society, on “Some Lessons in Muslim Architecture” from India.